There were some new faces among the prizewinners at the Annual Meeting and Dinner of Endurance South West this year, writes Jane Holden. The Novice Level Shield was won by Tina Handley and her ten-year-old coloured mare, Grania. Runner-up was 13-year-old Ryan Brock from on his Arab mare, Kairie. Tina also won the Peter Hawkey Forage Trophy awarded to a rider in their first season of EGB South West membership. Runner-up was 11-year-old George Barnes. Ryan Brock won the Blue Zephyr Memorial Trophy awarded to the novice junior member with the most points at all EGB rides. George Barnes came second. Abu Dhabi: As part of the UAE’s 41st anniversary celebrations, the Shaikh Mansour Bin Zayed Al Nahyan Global Arabian Horse Flat Racing Festival will be staging one of the richest endurance events for women riders on December 1. At a press conference to announce the event in the capital on Thursday Lara Sawaya, Director of the Festival and Head of International Federation of Arabian Horse Racing Authorities (IFAHR) Ladies Racing said a vehicle and Dh800,000 would be up for grabs in the HH Shaikha Fatima Bint Mubarak Ladies Endurance Cup. “The event is being held under the directives of Shaikh Mansour Bin Zayed Al Nahyan, UAE Deputy Prime Minister and Minister of Presidential Affairs,” she announced. “The 90km CEN ride is open to lady riders from Arabian countries and 19 riders from GCC and other Arab countries like Egypt, Morocco, Algeria, Syria, Tunisia, Sudan and Jordan will be competing in what is richest event for a ladies endurance ride,” she said. “This is the first time that riders from Arab countries like Tunisia and Algeria are taking part and this event will provide a huge boost to the lady riders practising the sport,” Sawaya said. “Seventy lady riders from the UAE make it a 90-strong field and the ride will kick off to a mass start on Saturday,” she added. “All participants and officials will attend a gala dinner tonight (Friday) after the preliminary veterinary check and we expect a large crowd of fans to encourage the lady riders and celebrate the UAE National Day,” Sawaya said. The riders will have to negotiate four loops of 30kms, 24kms, 20kms and 16kms. The Board of Directors wish to announce that Karen Collier has been appointed as the new Chairman for Endurance GB. We all thank Jo for all the time, energy and enthusiasm she has given to us for the past three years as Chair. Endurance GB has seen many changes which haven’t been easy to oversee at times and Jo has done this with fortitude, good humour (much needed at times!) and great dedication. The AERA is pleased to announce that the 50th Tom Quilty Gold Cup, to be held in June 2015, will return to its origins in the Hawkesbury Valley of NSW. The return of the 50th event to its birthplace was only possible due to the goodwill of VERA and the AERA thanks VERA and NSWERA on the successful negotiations. The AERA has started planning celebrations to ensure the 50th Tom Quilty is a memorable event befitting its stature in the world of Endurance. Australian horse owners will welcome the news of the introduction of a vaccine* to help protect horses against the deadly Hendra virus. The vaccine, which is available only under permit from accredited veterinarians, will also assist in breaking the cycle of transmission that puts humans at risk of contracting this potentially lethal virus. Hendra virus is a serious zoonotic infectious disease transmitted by flying foxes shedding the virus in their saliva, urine, aborted foetuses and/or reproductive fluids. Horses are thought to contract the virus by ingesting feed or water contaminated with one of these sources of infection. With a high mortality rate, Hendra virus has claimed the lives of 81 horses, including nine deaths in 2012 alone. There is no known cure, so the vaccine is positioned to become the most effective defence against this virus. Endurance is to fall under increased anti-doping scrutiny next year. But the independent integrity unit that oversees the drug testing of elite competition horses says the move reflects the expansion of the sport rather than a recent spate of failed drugs tests in endurance. In the year to November, horse sport’s international governing body, the FEI, had investigated 15 doping cases, eight of them involving endurance riders, seven of which were from the United Arab Emirates (UAE). There are a further 10 cases pending investigation — nine of which are in endurance. Paul Greenwood, the manager of the equestrian community integrity unit, said: “Endurance has grown so much in the past year and is now just behind jumping [in terms of number of events]. Abu Dhabi: Trainer Esmail Mohammad completed a one-two in the season’s first endurance ride at the Emirates International Endurance Village in Al Wathba on Saturday. Shaikh Rashid Dalmook Juma Al Maktoum, riding nine-year-old Tonki Dee Boo Kokoda, crossed the finish line just ahead of Saeed Sultan Shames Al Maamari, who was riding Khersiko Du Courtisot, to win the Al Wathba Challenge 120km ride which attracted 178 riders. The ride was attended by His Highness Shaikh Mohammad Bin Rashid Al Maktoum, Vice President and Prime Minister of the UAE and Ruler of Dubai, Shaikh Mansour Bin Zayed Al Nahyan, Deputy Prime Minister and Minister of Presidential Affairs and Shaikh Tahnoun Bin Zayed Al Nahyan. Shaikh Hamdan Bin Mohammad Bin Rashid Al Maktoum, Crown Prince of Dubai, also participated in the race, but retired in the third loop in the CEI** 120km ride which was run in five phases of 33 kilometres, 27 kms, 24 kms, 20 kms and 16 kms. Shaikh Rashid Dalmook Al Maktoum completed the ride in a time of four hours, 25 minutes and three seconds, at an average speed of 27.165 km/h. Saeed Sultan Shames Al Maamari, who was riding Khersiko Du Courtisot, finished a close second clocking 4.25.04 with an average speed of 27.163 km/h. 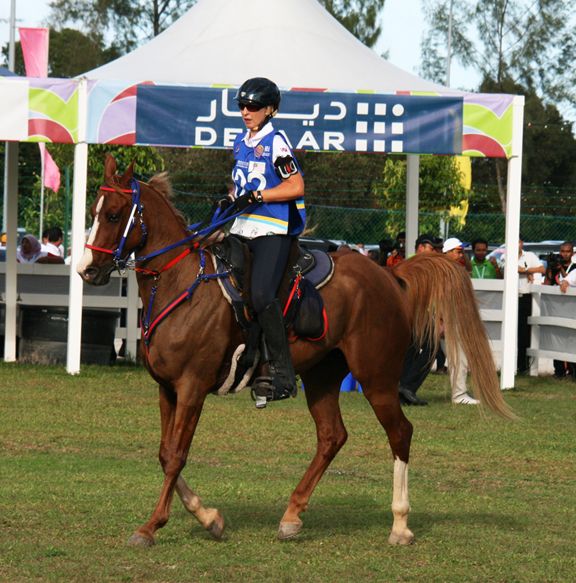 Woman rider Fatima Jasem Saeed Al Merri finished third on Ohio from Dubai Endurance Stables. Adnan Sultan Al Nuaimi, Director-General of Abu Dhabi Equestrian Club, Abdullah Al Qubaisi Director of Communications, Abu Dhabi Tourism and Culture Authority, Lara Sawaya, Director of the Shaikh Mansour Bin Zayed Al Nahyan Global Arabian Flat Racing Festival and Head of IFAHR Ladies Racing presented the trophies and cash rewards. 1 Shaikh Rashid Dalmook Juma Al Maktoum (Tonki Dee Boo Kokoda) 4:25.3. 2. Saeed Sultan Shames Al Maamari(Khersiko Du Courtisot) 4:25.4. 4. Mohammad Sulaiman Rashid Al Marboui (Commando Te) 4:25.38. 5. Munthar Ahmad Al Beloushi (Rivergum Drifter) 4:25.52. Abu Dhabi: More than 100 riders will be seen in action in the Al Wathba Challenge CEI** 120km Endurance ride at Emirates International Endurance Village in Al Wathba, Abu Dhabi on Saturday morning. 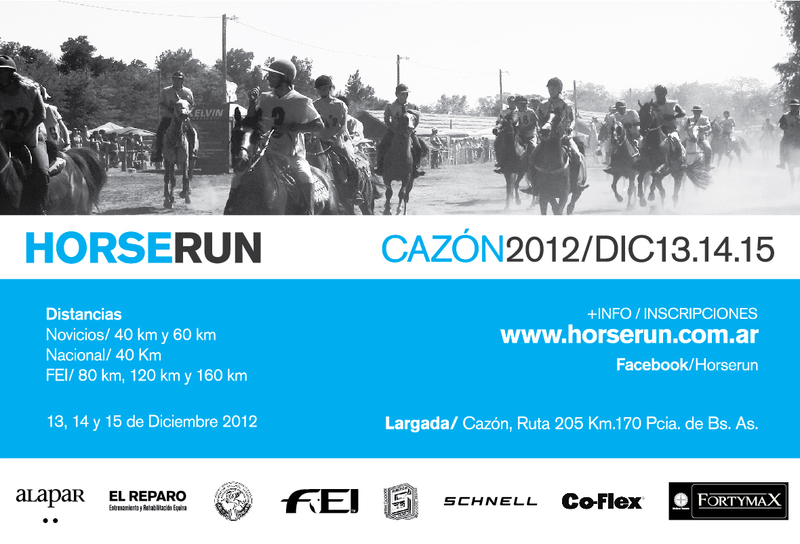 The race is open for six-year-old horses and above and will be held over five stages of 33km, 27km, 24km, 20km and 16km. Competitors are requested to present horses with an approved national or FEI passport who have been micro-chipped. Electronic heart rate monitors and display systems will be used as per set protocol. “All preparations are well in place for the big event, which will be held under the directives of Shaikh Mansour Bin Zayed Al Nahyan, Deputy Prime Minister and Minister of Presidential Affairs,” said Adnan Sultan, director of Abu Dhabi Equestrian Club at Mangroves Hotel on Wednesday. Sultan confirmed that the winner of the event will drive home a new four-wheel-drive car plus receive a major share of the Dh350.000 prize money. ELITE riders from around the world are ready for today's second Bahrain and Morocco Endurance Championship taking place at Dar Es Salam Forest, in Rabat. The race, set to tip off at 10am (Bahrain time), is organised for the second time by the Bahrain Royal Equestrian and Endurance Federation (Breef) in co-operation with the Moroccan Equestrian Federation. Riders come from Bahrain, Morocco, Tunisia, Germany, Spain, France and Belgium are lined up for the 120km ride. They include Sabrina Arnold of Germany, Belgian-French rider Wendy Fallon, besides French riders Lisa Keyes of France and Alan Liu. From Bahrain, Royal Endurance Team captain Shaikh Nasser bin Hamad Al Khalifa will lead some of the kingdom's best riders. The Supreme Council for Youth a and Sports chairman and Bahrain Olympic Committee president, who had won the 2010 edition trophy, will race along with Breef president Shaikh Khalid bin Hamad Al Khalifa and six other riders - Raed Mahmood, Salman Isa, Hood Buchiri, Shaikh Mohammed bin Mubarak Al Khalifa, Mohammed Abdulsamad and Abdulhaq Qadoori. Today's race will be divided into five stages. The first stage will be over 30km, followed by another 30km for the second, 20km for the third, 25km for the fourth and 15 for the fifth and final stage. This year's race route will feature some changes from the one held two years ago, especially in the areas near the starting and finishing points. There will also be two qualifying rides - over 80km and 40km - organised during the day. Media Office and Information Centre Director and Head of Breef Media Committee Tawfiq Al Salehi said the federation is keen to implement the directives of Shaikh Nasser and Shaikh Khalid to enhance relations between Bahrain riders and those from Morocco and other countries. Manama, Nov. 17. (BNA) – Seventy-six riders have signed up for the 80km Qualifying Ride, the first event of the 2012/13 Endurance Horse Ride Season in Bahrain, kick-started today in Sakhir. The season opener is organised by Bahrain Royal Equestrian and Endurance Federation (Breef), and is being held under the patronage of its president Shaikh Khalid bin Hamad Al Khalifa. The race commenced at 5am at Bahrain International Endurance Village in Sakhir. Stables taking part include the Royal Endurance Team, are represented by 22 riders, the highest number of participants from one stable in today's race. The Royal Endurance Team, one of the favourites, is spearheaded by some of Bahrain's most prominent riders. They include regular riders from the Bahrain national team like Abdulrahman Al Zayed, Jaafar Mirza, Fhad Bakheet, Abdelhak Kaddouri, Mohammed Abdulsamad, Raed Mahmood and Isa Al Hazza. Al Asayel Stable (19 riders) have the second highest number of participants. Other riders are from Ahmed Al Fateh Stable, Al Montasir, Khalid Al Rowaie, Al Muqheerat, Al Ajiyal, Al Shawamek and Saar Riding School. Featuring three stages, the ride is a warm-up event that aims to help participants gear up for the main championship that will be organised later this season. Today's event begins with 30 kms for the first stage, to be followed by another 30 kms for the second stage while the concluding stage will over 20 kms. As an incentive to participants, Shaikh Khalid has directed the organising committee to award BD100 for every rider successfully completing all three stages. Breef general secretary Ghalib Al Alawi has been named president of the ground jury. It also includes members Ali Ghuloom, Mahdi Al Kalaiti and Fahad Al Romaihi, besides foreign technical delegate Mohammed Dadulla, chief steward Haider Al Zu'bi and steward Abdulla Al Rumaihi. The veterinary commission is being headed by Abbas Al Haiki, with Mohammed Al Hammad of Saudi Arabia being the foreign veterinary delegate. Other commission members are Khalid Razaiqi and Hady Al Lawati, both of Oman, as well as Bahrain's Ebrahim Yousef, Ebrahim Yousif, Sabah Al Kabie, Abudlrahman Yaqoob, while Fareeda Abdulrazaq and Caonabo Melo of Domincan Republic are the veterinarians. Mir Ghani was appointed lab technician and Sudiq Sankar the show secretary. Rabat, Nov. 17. (BNA) – Upon directives from His Majesty King Hamad bin Isa Al Khalifa to activate joint cooperation with Morocco in the sports field, in general, and the equestrian one, in particular, and follow-up of the Chairman of the Supreme Council for Youth and Sport, President of the Bahrain Olympic Committee (BOC) and captain of the Royal Equestrian and Endurance Team Shaikh Nasser bin Hamad Al Khalifa and President of the Bahrain Royal Equestrian and Endurance Federation (BREEF) Shaikh Khalid bin Hamad Al Khalifa, preparations are in full swing to hold, on November 20, the second Bahrain and Morocco Endurance Championship, the largest of its kind in north Africa. The race will be open for all riders and will cover a distance of 120 kms, with qualifying races of 80 and 40 kms, in accordance with the royal instructions. An elite of riders from the Royal Endurance Team, led by Shaikh Nasser and Shaikh Khalid, Germany, Belgium, France, Spain, Morocco and Tunisia will be participating in the event. On the occasion, Captain of the Royal Team Shaikh Nasser bin Hamad said that holding the second edition of the race in Morocco reflects the values of sincere cooperation bonding the two sisterly kingdoms, in line with the sound directives of His Majesty King Hamad bin Isa Al Khalifa and his brother King Mohammed VI. The move aims to promote the endurance sport in North Africa, he added, noting that holding it in Morocco will increase the number of its fans there. Shaikh Nasser expressed delight at implementing the Royal directives to turn the race into an international one so as to increase the number of participant riders and pave the way for Bahraini riders to strengthen ties with their counterparts in North Africa and other countries and exchange expertise with them. He also affirmed that the race will benefit Bahraini and Moroccan riders and enrich their experience, wishing all riders every success. On his part, BREEF President Shaikh Khalid bin Hamad said that HM the King's directives to hold the race in Morocco will consolidate bilateral cooperation and will spread the sport in Morocco and other North African countries. He added that BREEF and endurance officials in Morocco have taken all the necessary procedures in order to ensure the success of the race and achieve its set goals, pledging that members of the Royal team are keen to achieve the best results during the race and take advantage of it to prepare for the coming races. In the same context, Dr. Khalid Ahmed asserted that all success requirements are already in place, adding that the race will be a highly-distinguished one, given the number of experienced riders taking part in it. On his part, Media Office and Information Centre Director and Head of the Media Committee Tawfiq Al-Salhi said that BREEF is keen to implement the directives of Shaikh Nasser and Shaikh Khalid to enhance relations between Bahraini riders and others riders from Morocco and other countries and enhance sports cooperation, pledging that media coverage will be thorough, in line with the royal directives. Emma Miller, Chair of international is delighted to report that a new Chef for the World Class Development Squad has been appointed. Mary Stubbs has been offered the role and she has accepted. Mary will be starting her role next week by attending the training weekend at Bury Farm and Emma is sure they all will benefit from her experience and leadership. The Fédération Equestre Internationale (FEI) is on the right track in addressing key welfare issues in equine sport in a context of growing public concern for animal well-being and an evolving global climate, according to the chief executive of an international horse welfare association. Speaking at the FEI annual General Assembly Nov. 8 in Istanbul, Turkey, Roly Owers, MRCVS, of World Horse Welfare (WHW) praised the FEI's welfare efforts in an evolving world which has become more critical, in part because of social media. "Clearly how horses are treated, and how they're perceived to be treated, matters to the public," Owers said. "It is obviously right that the public should care about horse welfare in sport, but ... in this social media age, the voice of vocal minorities can damage the reputation of the sport." As examples he cited the online "storms" surrounding the "blood rule" issue and debates about nose bands. "And you all know that the animal rights group PETA is now suing the owners and trainer of Totilas in Germany," he added. "Whatever we feel about the merits of this case, this is a sign of the times. And there will be more to come..."
The FEI General Assembly resulted in a change in veterinary regulations such that all horses to be newly registered with the FEI must be microchipped. The new regulation will go into effect on January 1, 2013. The microchip must be compatible with ISO 11784 and ISO 11785, and all microchip information must be entered in the horse's passport and reported to the USEF. Microchip numbers consist of 15 digits of which the first three identify the manufacturer or country code and the remaining numbers are unique to each horse. A microchip carries the identifier that will be associated with a specific horse from the date of implant until the animal's death. Owners should check with a veterinarian to schedule microchipping for their horses. The USEF recommends that horses be scanned for the presence of a microchip before a new chip is implanted, especially in the case of horses that have had more than one owner. For questions regarding the new regulation, e-mail kball@usef.org. Dubai: Abdullah Ganem Al Merri survived testing conditions to win the His Highness Shaikh Mohammad Bin Rashid Al Maktoum Endurance Cup, the opening ride of the 2012-2013 UAE Endurance season at Dubai International Endurance City on Thursday. The 160km three-star horseride was attended by His Highness Shaikh Mohammad Bin Rashid Al Maktoum, Vice-President and Prime Minister of the UAE and Ruler of Dubai. Also present was Shaikh Hamdan Bin Rashid Al Maktoum, Deputy Ruler of Dubai and Minister of Finance, a number of Shaikhs and horse owners. Shaikh Hamdan Bin Mohammad Bin Rashid Al Maktoum, Crown Prince of Dubai, was among the 200 participants before he pulled out in the second of four loops. Riding the Nad Al Sheba Stables-owned Arabian Amooh, Al Merri won in a time of 4hrs 17min 18sec. Ganem Saeed Salem Al Owais was second in 4:17.15 seconds, while Mohammad Saeed Mohammad Al Fares clocked 4:17.48 for third place. Ahmad Yousuf Al Beloushi was fourth and Safa Endurance Stables’ Saeed Ahmad Al Katbi fifth. The 120km race featured four loops, the first and second being 40km each, while the third and fourth were 20km apiece. Al Merri said he knew he had to stay consistent throughout the ride to have a chance of winning. “I had a good horse and I knew what to expect this time and was prepared for a tight competition,” he said. “But nothing could have prepared me for the second loop, which was very tough because of the blowing sand and the heat. Mohammad Al Adhab, Deputy General Manager of Dubai Equestrian Club, presented the top three riders with their prizes. The FEI General Assembly 2012 took place in Istanbul, Turkey 5-8 November in the presence of 252 delegates. One hundred and four National Federations – 80 in person and 24 by proxy – took part in the Assembly’s proceedings. The General Assembly is the yearly meeting of the National Federations and is the supreme authority of the FEI. Elections are held at the Assembly and decisions are made with regard to issues such as changes to FEI Statutes, approvals of long-term strategies and FEI budgets. All decisions are taken by vote and each National Federation has a right to cast a vote. If for any reason a National Federation is unable to attend they may be represented by another National Federation, however one National Federation may not represent more than two other Federations at a General Assembly. Essentially, the purpose of the General Assembly is to give the National Federations an opportunity to vote on important Equestrian issues. The Assembly will govern the overall direction, development and management of the FEI’s disciplines throughout the world for the coming year. • At CEIOs and Championships, results from all combinations from the same nation are available to that nation to establish the team score (best three to count - only three medals to be awarded). • New ‘Best Condition’ rules introduced to better reflect the degree and extent of assessment of each horse. • Changes to the number and star level of FEI officials at lower level event to assist organisers with the costs of hosting an event. • FEI involvement when necessary regarding appointment of officials at CEIs to ensure adequate rotation and address potential conflicts of interest. The Rules will be available on the FEI website on THIS PAGE. A summary of the main decisions taken by the Assembly is available HERE. « The backstage boss » is probably the best way to describe Martine Nemecek’s job. She is in fact the competition venue director; a role she has held since September 2012. With less than two years to go before the event, the time has come to switch from a “functional organisation” to a more horizontal, operational approach. “All the departments obviously depend upon each other”, explains Martine Nemecek. They are all going to be the supplier and/or client of the other e.g. the transport manager is going to get transport requests from the sports department, for the competitors and officials, and from the commercial department for our partners…My job is to check that there isn’t any pointless overlapping of resources or that nothing is overlooked. To give you another example: has the event activities manager realised that it’s up to the technology department to supply the giant screens? And that she needs to avoid ordering them directly from the suppliers ?...” The list of these so-called “cross-over areas” has been drawn up after a lot of painstaking work…or to be more accurate, thanks to careful analysis. In short, 2,500 guidelines that are constantly being changed and adapted (needs are fine-tuned, new requirements arise, othersare no longer necessary). During the event, Martine Nemecek will be at the helm of the MOC, the Main Operations Centre, masterminding the overall organisation, deciding what needs to be changed and when, as well as the best way of intervening if anything goes wrong. You could say it’s the Games’ “HQ”! Martine Nemecek’s profile: Former operations director for the Rugby World Cup in 2007 and for the World Athletics Championships in 2003, Martine Nemecek is highly experienced when it comes to major international sporting events. She joined the Organising Committee as competition venue director in September 2012. Olympic showjumping rider Peder Fredricson is the winner of a competition to design new horse sport pictograms for the FEI’s seven disciplines. The change was instigated to celebrate the massive global growth of equestrian sport. Equestrian events in the seven disciplines governed by the FEI – Jumping, Dressage & Para-Dressage, Eventing, Driving & Para-Driving, Endurance, Reining and Vaulting – have grown by 33% since 2008, with over 3,200 events taking place on all seven continents in 2012. 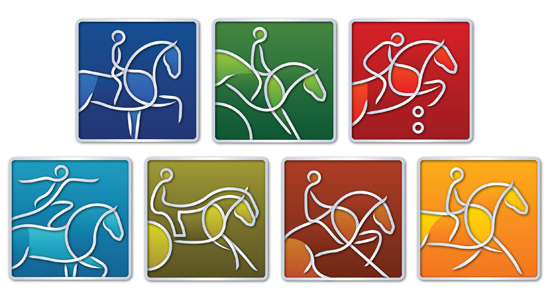 The new pictograms, unveiled on Thursday at the FEI General Assembly in Turkey’s capital Istanbul, sport bright colours to embody the passion and vitality of equestrian and depict the unique relationship between human athletes and their horses. The pictograms, which will be used by the FEI, its 133 National Federations and organisers of FEI competitions around the world, were inspired by the winning entry of an international design competition launched on the FEI’s Facebook page and website. The charming Multidays is a different ride from all others carried out in Brazil. It is about an itinerant ride in which the set horse / rider runs to a distance of approximately 60 km per day, totaling 180 km in three days. Not only the riders, but all those participate in the event (organizers, veterinarians, course designer and timekeeping) staying in the same hotel. Every night there is a fantastic cocktail, so that those who competed during the day will fraternize in the night launching each other new challenges for the next day. And every night are awarded the winners of the day. Besides, to relax, also awards which came in last place. And as is traditional, since its first edition in 1999, there is the famous and not so expected Trophy Coalheira, name of farming instrument used in the animals to pull the plow. It receives the trophy Coalheira that one person who during the day made ​​a faux pas. Therefore, everyone is watching everyone to see who commits it. During the awards are announced the names of people and what they did and the audience decides who receives it. In the final award, is named the winner of Coalheira of the year. NINETEEN countries have submitted their entries for the First World Military Endurance Championship (WMEC), to be organised in Bahrain on December 15. Riders will come from Azerbaijan, Kuwait, the UAE, Estonia, Qatar, Saudi Arabia, Morocco, Palestine, Oman, Italy, Brazil, Yemen, Jordan, Ireland, Uruguay, Albania, Ecuador, UK and hosts Bahrain. The organising committee, headed by Bahrain Royal Equestrian and Endurance Federation president Shaikh Khalid bin Hamad Al Khalifa, has stepped up preparations for the day-long event. Delegations are scheduled to arrive in Bahrain on December 10, five days before the start of the championship. Bahrain is organising the upcoming event in co-operation with the International Military Council. The Bahrain event will coincide with the festivities marking His Majesty King Hamad's Accession Day and Bahrain National Day. Latest developments and arrangements to prepare for the championship were discussed yesterday during a committee meeting, chaired by Shaikh Khalid. Shaikh Khalid stressed the strategic significance of the first military championship, which gives it a special dimension with several prominent riders from all around the world taking part. Shaikh Khalid and other members of the committee also discussed a number of points on their agenda, which included suggestions by the ceremonies committee to select the most suitable venue for the opening ceremony. Shaikh Khalifa received work plans from committee officials Mohammed Al Jowder, Abdulhakim Al Shino, Ebrahim Al Binali Ahmed Hamada, Mishari Al Hanafi, Dr Khalid Ahmed and Tawfeeq Al Salehi. As of October 20, 2012, Linda Cowperthwaite and Maraday Mystaron of Great Britain topped the FEI Meydan Open Combination World rankings. Cowperthwaite said, "Just a quick note to let EGB in on my horse, Maraday Mystaron's, exciting news. As a result of Ron’s successfully season and trips overseas we have been rewarded. The current FEI ranking have been updated and he’s number 1 in the world combinations. It’s still not quite sunk in. I dared to think he could go top for a time but to see, it is just amazing." Dana Hladisova and Dean are second, and Juan Lacasi and Rock and Roll are ranked third. USA's Jeremy Reynolds and A Kutt Above made 16th on the list. In the Meydan Open Riders World Ranking, UAE's Shaikh Hamdan Bin Mohammed Al Maktoum is first, with France's Lisa Riou second, and UAE's Shaikh Rashid Dalmook Al Maktoum 3rd. In the Meydan Open Horse World Ranking, Intissar tops the list with Yamamah second. Both horses are ridden by UAE riders, with Yamamah (formerly known as Kurrajong Concorde) finishing 2nd in the World Endurance Championship in Great Britain in August. Maraday Mystaron is ranked 4th. Kathy was a true athlete, a generous and sincere woman. A class act. She will be remembered lovingly by her friends and family and many around the world who shared her commitment to the sport of Endurance. Kathy, you will be missed. The last week of August, 2012 saw the running of the 32nd Shahzada – the ultimate test of horsemanship – with 60 horses and riders from all over Australia covering 80kms a day for five days from the ride base in St Albans up and down the mountains that surround the MacDonald Valley in north west Sydney. There were two entrants from WA, two from Tasmania, three from SA, five from Qld, two from the ACT and 46 from NSW all embarking on long trips to experience the magic of Shahzada. We had superb weather with some rain the week before to soften the tracks and then beautiful sunshine. The Committee and some of the wonderful volunteers without whom this ride would not go ahead, were there up to ten days prior to the ride erecting tents and gazebos, placing all the early birds in their campsites which continued right up to the start of the ride, putting water up in those mountains which is a major feat in itself as well as marking and still clearing after the savage winds that hit the area prior to the ride. 4am Monday, 27th August sixty riders took off up the Common Road…..what a buzz!!! Kim Hagon on her part Arabian gelding Diamond R Boston recorded the fastest time of 34 hours for the 400 kms and was one of four horse and rider combinations to be called up for the Best Conditioned/Best Managed Horse award – the others were Sue Todd on her Appaloosa mare Shakista (six out of six completions), Cherry Cummins on her Arabian mare Winter Hill Alice and Jody Smith on her Anglo Arab gelding Rage On with Jody and Rage On taking out the prestigious award – a huge trophy and rug as pictured. There were 29 completions – each horse and rider earning a Shahzada buckle, acknowledging this amazing achievement. The Halifax Hayes Fit & Well Award was presented to two horse and rider combinations this year – Ron Malone on Maringo and Stewart Lymbery on Garonne Park Walker with Maddie Hayes saying that both combinations were deserving of the recognition. There were two encouragement awards for the ride this year….the Newscom Award for first time horse and rider combination went to Trish Smith from Tasmania on Beaucheval Akhiran and the Darryl Davis Encouragement Award went to Robert Catlin on Copperkahn Tiara. The First Australian Stock Horse across the line was Razorback Kadance ridden by Robin Young. There were a number of awards donated by the Knihinicki family – the oldest rider to complete was Karen Rhodes (this was Karen’s 17th buckle) on Stratfield Ghayth (Billy), the youngest was Tiarna Young on Burren-dah Narla who also received the Steve Locke Memorial Award, and Lyn Summerfield from WA took out the last rider home and the rider who travelled furthest on Orchid Park Silver Mecca. The Suncrest Arabians Award for the First Stallion to Finish went to Burren-dah Gladiator ridden by Martin Gregson. There were 86 entrants in the Mini Marathon which was held over three days of 40kms per day and gave riders and horses the opportunity to get the taste of marathon riding with the idea that they will take up the challenge next year and attempt the 400 km Shahzada……63 riders were successful. Shahzada is put together by a small committee and a large number of dedicated volunteers – thank you to everyone involved in the success of the 2012 Shahzada.